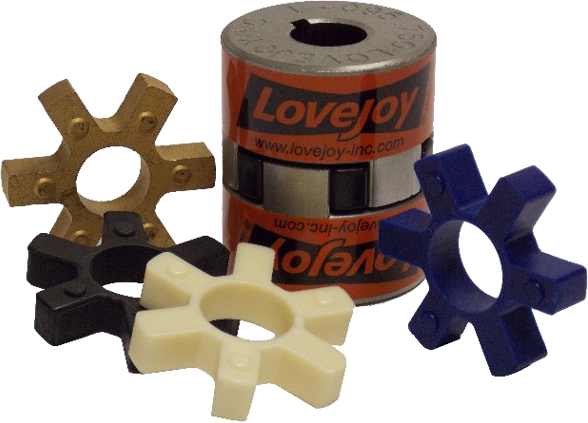 Lovejoy Inc. offers two different size ranges in the Bellows coupling product line: the BWC and BWLC series. The BWC coupling offers bore ranges of 1/8” to 3/4” and torque ratings of 3.5 to 89 in-lbs. The BWLC coupling offers bore ranges 1/4” to over 1-1/2” and torque ratings of 159 to 1,328 in-lbs. Both of these designs offer higher torsional stiffness than beam coupling designs and still retain zero backlash. 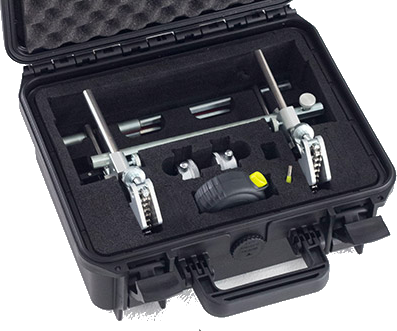 This combination is ideal for precision soldering equipment, pick & place machines, and measurement equipment. The wide range of bore sizes and torque capacities allow for flexibility in selecting the right size coupling for the application. One issue that we see from time to time is the when a key has rolled within the coupling hub/shaft keyway & key joint. While the joint might not experience any external issues (such as a crack) the joint does need immediate attention. It is just a matter of time before the joint will experience an issue as the joint may no longer able to transmit the full torque capacity. The upper right hand corner of the image above is a good example of a rolled key, with a visible gap seen between the shaft and coupling near the keyway. The coupling pictured above was taken out of service and removed to allow for a more complete inspection & further determination as to what steps were required to bring the coupling hub/shaft keyway joint up to acceptable condition. 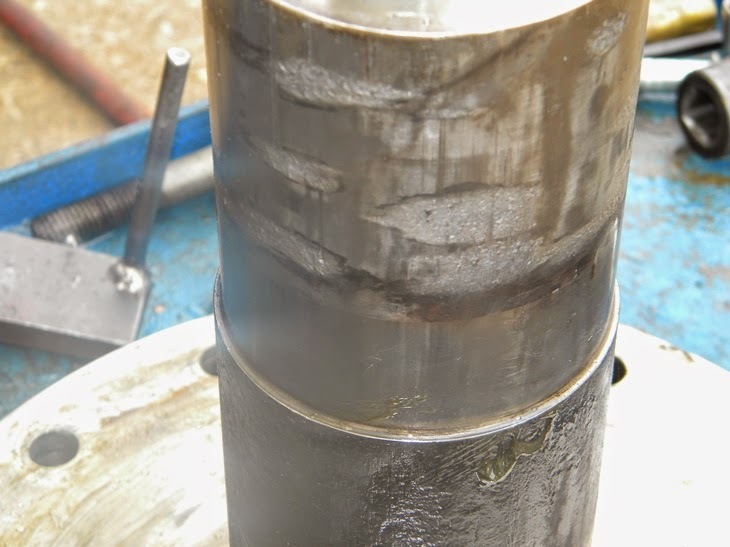 Recommended Follow-On Reading: To learn more about the importance of inspecting shafts, shaft keyways, and key prior to coupling installation, we recommend the following two articles: Shaft Inspection Prior to Coupling Installation and Shaft Keyway Damage. Prior to installing a coupling (new installation or replacing an existing unit) it is important to inspect the condition of the shaft. If the shaft is sufficiently gouged, marred or otherwise distorted it may need to be dressed (reworked) prior to installing the coupling. During laboratory testing of the coupling to shaft interface we found that a deformed shaft can reduce the torque capacity of the joint. It is important to understand that the joint will only be as strong as the weakest link in the system. An example of a shaft that needs to be dressed prior to coupling installation is shown above. While we have previously identified that alignment is the primary cause of premature coupling failures (see post here), a further explanation of static versus dynamic alignment is in order. Static alignment is the condition of the machinery at rest (think of the alignment we perform when the equipment is first installed). Static alignment gives us the opportunity to correct issues such as soft foot, gross misalignment and to bring the system to within specifications. Dynamic alignment is the condition of the machinery during sustained operation. Think of an electric motor moving from its mechanical center to the electrical center, the thermal growth experienced by an internal combustion engine or a shaft moving axially in response to forces in the machine train. It is common to perform a “hot alignment check” on equipment. A hot alignment check is when the machinery is allowed to achieve its operational steady state condition (i.e. after a compressor train has operated for a minimum of 24 hours) and is then shut down with the express intention of quickly performing an alignment verification. 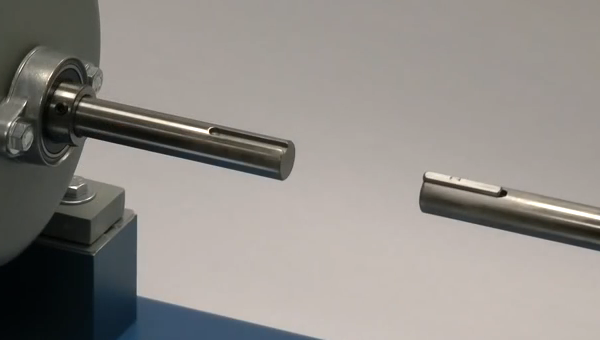 Depending in the machinery, dynamic alignment is preferred as the equipment will experience measurable changes and can result in the equipment operating beyond alignment specifications from the initial static condition. Remember to always align equipment to the tighter of either the coupling or equipment specifications! I recently gave a presentation on couplings and one of my fellow presenters had an interesting story. Needless to say the maintenance procedures & operations was given a detailed review…. It is import to understand what the root cause of an issue is and take to time to correct the situation. While we are all pressed for time, would you rather have it done it right the first time or find the time to do it all over again? 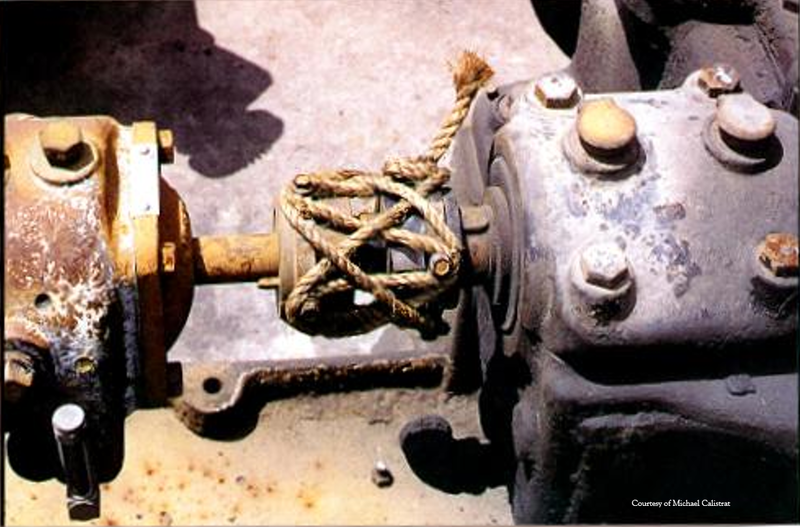 Coupling failure issues can be traced down to multiple types of failure modes. However, I have found that a few are the primary culprits for all types of couplings. 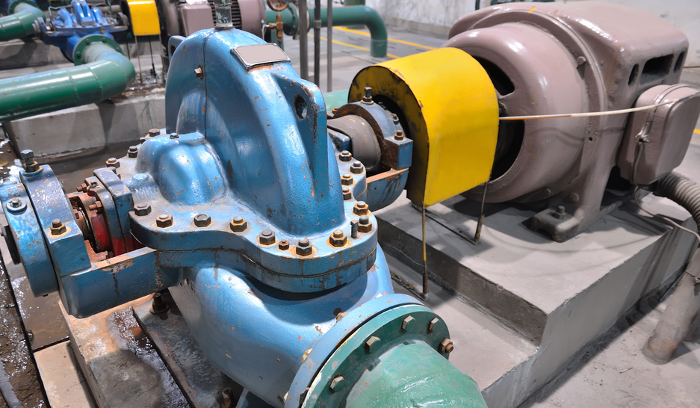 While multiple issues can occur that will lead to a premature coupling failure, it is a good idea to start with the alignment of the machinery when determining a root cause. Used properly, dial indicators (lower cost & pictured above) and laser alignment tools (premium/higher cost) are both effective tools to consider when aligning a coupling. Recommended Follow On Reading: For a deep dive into specific failure modes, inclusive of photographs, check out the following four articles below. One of the steps in properly sizing a coupling is to understand the application. Continuous operation vs stop-start, high inertia loading, excessive vibration, etc… The severity of the application is used to modify the calculated application torque to truly represent the usage of the system. A handy reference guide is the Driven Machine Service Factor charts that coupling manufacturers publish. This will typically give a number between 1.0 and 3.0. The Driver Service Factor can vary from 0.0 (standard electric motor) to 1.5 (low cylinder count internal combustion engines). As you can see, in specific specialized applications, the Driver can potential have a greater impact on sizing the coupling than the Driven unit! A common question that I am asked is if the keyway on the drive and the keyway on the driver shafts should be oriented 180° apart. My response is twofold. If the unit is designed and manufactured as a single system, the orientation of the keyways should not matter as the key length will correspond to the bore length of the coupling (and the keyway cut into the shaft should also be only just long enough to properly fit the coupling). However, some applications have a longer key & keyway than what is needed for the coupling. The longer key may cause an imbalance in the system if both keyways in the shafts are aligned. It is with this potential imbalance in mind that the “rule of thumb” to orient the keyways 180° apart was created. Big picture, if you want to minimize imbalance in a system when installing a coupling the 180° keyway "rule of thumb" is certainly a worthwhile. While it may not always be required, it is a good "best practice" to follow. During inspection of a shaft prior to installing a replacement coupling, a technician found the shaft keyway had some damage. I was asked if this damage would have any impact on the coupling. (The image above shows the shaft keyway in question). First, I commended the technician for inspecting the equipment and asking about its condition. Second, we dove into what the impact the damaged shaft keyway could have on the system once a new coupling was installed. For this application (the coupling hubs having interference fit bores), torque is transmitted between the shaft and coupling hub through two methods: (1) the friction caused by the shaft interference fit and (2) via the surface of the key. 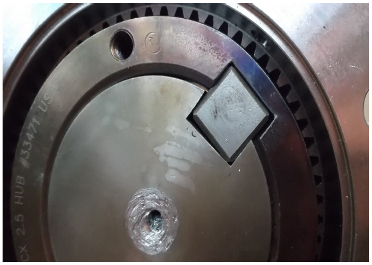 When the surface of the keyway is damaged, the key no longer has proper contact and the shaft & hub connection/joint may not be able to fully transmit to the torque level as designed. For this application, as the new coupling might not be able to transmit a full torque capacity as rated, a recommendation was made that the shaft should be reworked/replaced to ensure a proper keyway fit.